Automatic Strip Gumming Machine of printed A4 - A3 posters and Ready envelopes. Gumming will be done using silicon paper or release paper. Used in feeding and cutting of posters/ envelopes must be automatic. 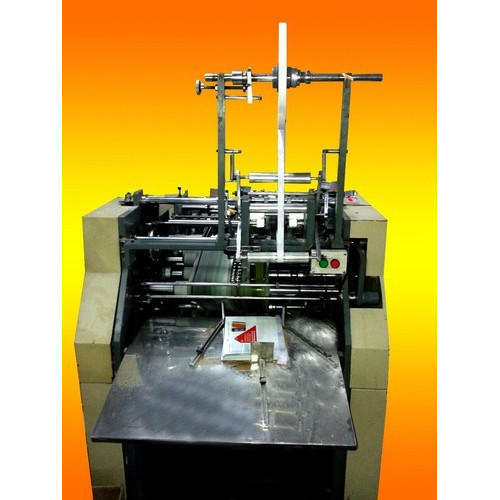 Jay Engineering is a company which professionally produces the series of the Envelope Pasting Machines. Our product range is Carton Pasting Machines, Strip Gumming Machine, Envelope Pasting Machines, Window Patching Machine, Envelope Macking Machines, etc. Because of the professional designer and earnest, strict identifier, we guarantee the high quality of the machines we produce. We improve ourselves on technology and performance to satisfy the needs of the customer. We provide Installation, testament, upkeep and after-selling service to broaden your technical knowledge.